We finally made the decision for our Solar, who we are going to buy from and how to install. There are a large number of excellent YoutTube Videos out there to help in this journey. One of the best videos is by Will Prowse. Though he is just a young kid he has been living the VanLife for many years. One of the most challenging things we found here in the Niagara Region, is finding someone knowledgeable to speak with person to person. Most shocking is the RV Industry is the last place you should speak with here. I spoke to a so-called Service Specialist at Sicard RV in Smithville and her information was outright wrong. Selecting Solar – Who, Where and What do you Need. Originally I planned to buy an RV kit from Renogy, as they are one of the big names in RV Solar. Many different YouTuber’s have used Renogy and had fantastic luck with them. I, however, could not get them to respond to an Email, or to return a phone call. I am more than willing to pay a little more for a product if the company has good Customer Service, and in my opinion, Renogy was not offering that to me in any way. Luckily I discovered a website for a place out of Calgary called SolarWarehouse.ca. In my early research about solar, I called this company and got fantastic information from their sales people, but had intended to take that information and buy from Renogy. But in the end, I went with the SolarWarehouse. Why did I use SolarWareHouse you ask? I think the biggest reason is they responded to all my questions and offered recommendations to upgrade or downgrade items I was thinking of purchasing. Even though the price seemed higher than Renogy’s once you figured in exchange, duty and shipping we broke even. Once we placed the order, I know in my eyes it could not get here fast enough. The thought of full power was so exciting since we had lived with the battery charge from moving Freddy around the Falls. The original order arrived in just a couple of days, however, it was missing the 30ft of wire that was crucial to actually install the panels. SolarWareHouse was fantastic ensuring our missing items got to us. Since Freddy is an older Class B Motorhome I felt there were some challenges. The first challenge was how to wire things to our existing house battery. The battery is on the left side of the couch, in a small compartment outside under the head. I am not overly happy with drilling through the floor, right by our black water tank. We would need to run the wires from the solar panels to the MPPT charge controller in the shower area. I know that is not going to happen. It turns out it was a good thing the wire was late making it to me as it gave me more time to figure out how the wire run was going to work. I finally watched a YouTube video that showed an excellent setup, and I was able to copy it for Freddy. Our maintenance person at work also suggested I simply run the wire on the underside of the van instead of through the living area. I am not sure why I did not think of that but it turned out being the best piece of advice I received during the planning sessions. My niece’s daughter Becca helped me during the install. She is pretty awesome and always seems willing to try something new! Thank you, Becca. 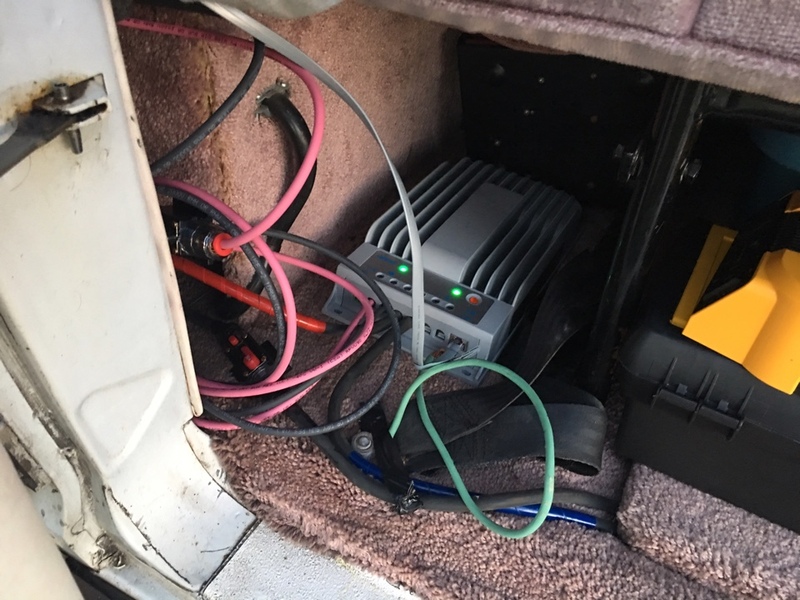 I used 15 feet of #2 wire for the inverter, and I used 15 feet of #4 wire for the run from the MPPT charge controller to the battery. It was an expensive purchase as the wire cost about $165.00, but it was well worth it! 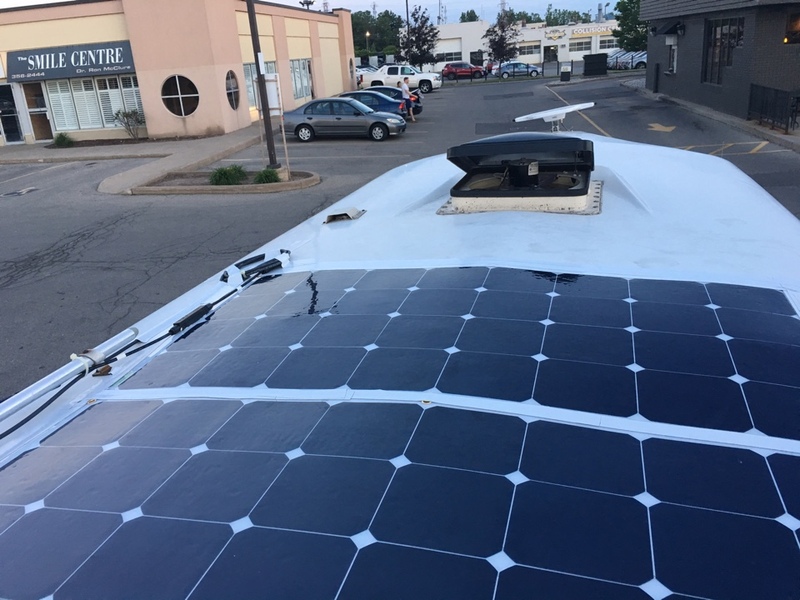 I still need to finish the install for the inverter, but at least all the wire is in place! We need to replace our old house battery with hopefully two 6V AGM batteries. 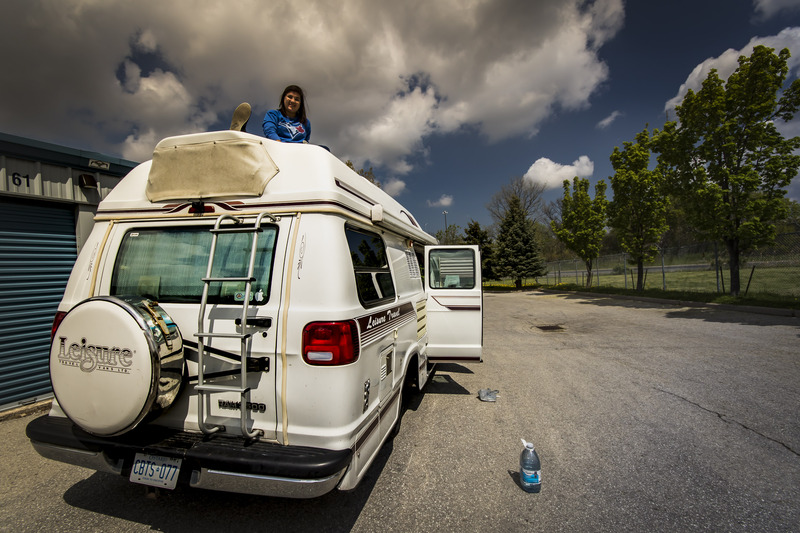 Thinking of adding solar to your RV? Have questions? Feel free to email me and let me know, I am more then happy to give you some advice!